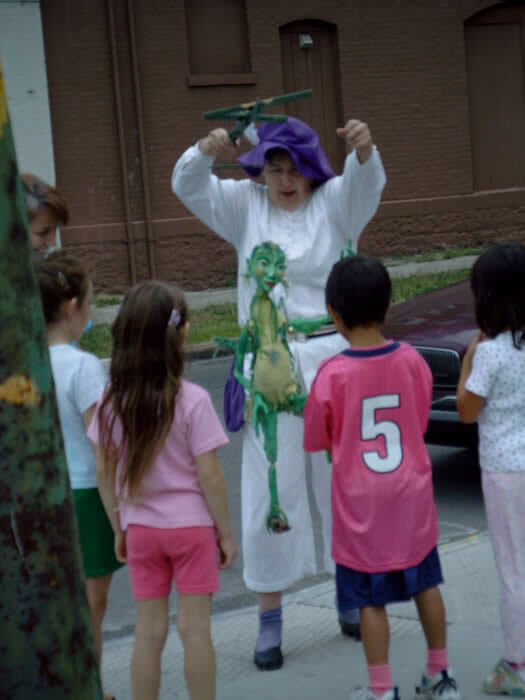 Workshop leader Rolande Duprey received a Masters of Fine Arts in puppetry from the University of Connecticut, where she studied with Frank Ballard. 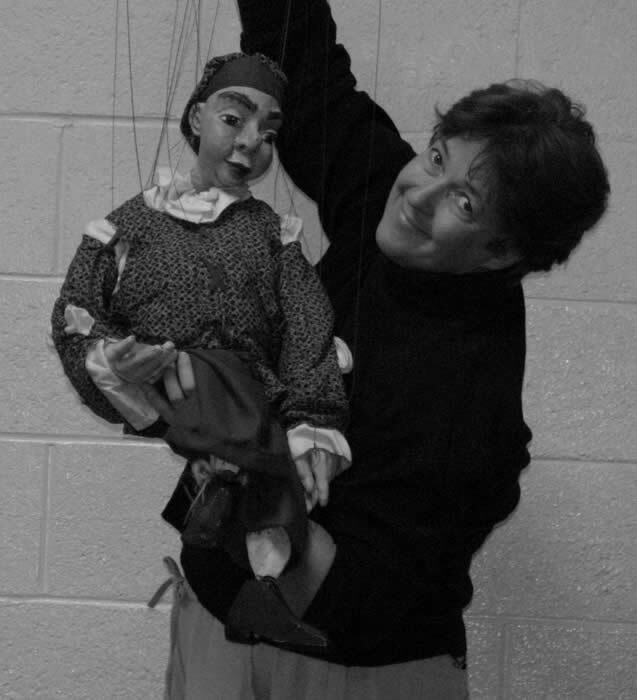 She has taught puppetry and storytelling for the past thirty years. She is a Teaching Artist with the Connecticut Commission on Culture and Tourism. Each workshop and residency is designed according to the client's goals. Professional development workshops provide educators with skills and strategies to use puppetry in the curriculum. 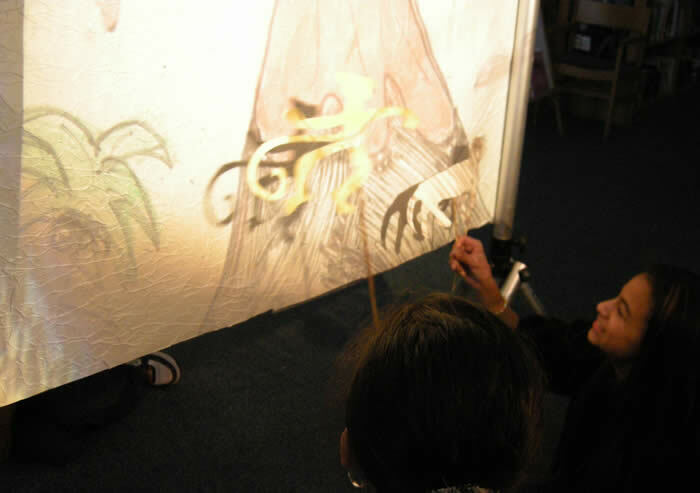 A workshop or residency using shadow theatre and story creation techniques to involve children in a multi-disciplinary approach to nature, geography and language arts. May combine with folktales to complement the third grade curriculum standard. All ages. Using characters they themselves create three dimensionally, children are encouraged to develop short skits, which exhibit the character’s strengths and weaknesses. May be used in conjunction with history projects. Hand puppets or rod puppets! Great for grades 3-6. If you would like to see photos of a recent residency, please click here: University of Hartford's Magnet School. Exploring concepts intuitively and experientially using simple marionettes helps children understand certain basics of physics: Balance, Leverage, Simple Machines, among others. Recommended for ages nine and up. Making marionettes is a separate workshop. A workshop or residency encouraging students to develop and tell their own stories using an event important to them. 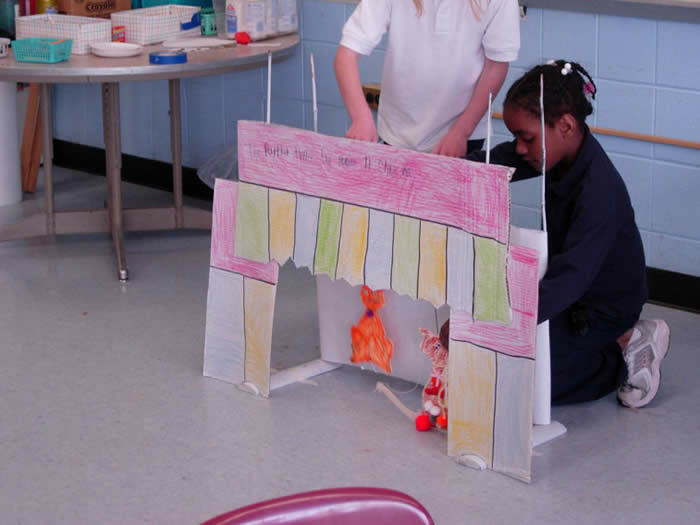 Language skills combine with movement to develop a stage presentation for all ages to enjoy. Excellent for grades 6-8. V. Make a Mask and Move! By donning masks they make, children discover the way their bodies move in space as a new self emerges. Ages 8 and up. A residency developed by Rolande Duprey and Elizabeth Thomas of Upwords Poetry (www.upwordspoetry.com). 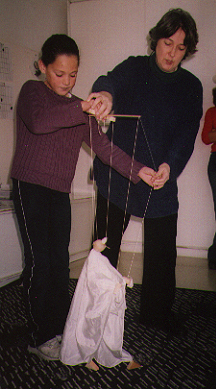 Puppets can be built and manipulated with the idea that each step along the way can be a prompt to write poetry for the character being created. This workshop was delivered to the HOT Schools Summer Intensive to a great response. Workshops may vary in length, depending upon the specific needs of the group. Purple Rock Productions is listed with the Connecticut Commission on the Arts.